What a wonderful start to the season today at South Winchester GC for the Girls’ Spring Meeting. The ladies of South Winchester were not so lucky with their meeting yesterday on a wet Tuesday but the sun shone brightly for the youngsters and there was hardly a breath of wind, so scoring was sensational. 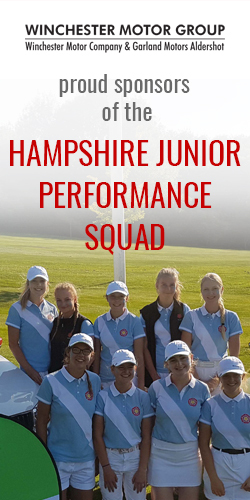 Thank you ladies and staff of South Winchester for being such great hosts and to injured Junior Captain, Lottie Dack, for presenting the prizes.